Note the title: this is how they celebrated Christmas in Venice, not how we do now. We’d guess there wasn’t carol singing and reflecting on the shallowness of collecting material goods during one’s brief sojourn on Earth. Nope, it would be lavish: draw the Venetian blinds down over the Venetian windows, don the fancy masks and sit down to a massive bowl of Ferrero Rocher. And be entertained by music, so who better than Mr Vivaldi, born in Venice? As the sleeve notes state: Venice was not a city known for its moderation, and Christmas fell during the Carnevale, a celebration that had begun three months earlier. This presumably meant the festivities at Christmas did not stand out any more than any other — and after caning it since October, we doubt you’d notice — so this music is not noticeably Christmassy, though in parts it has a nice Christmas feel: it’s just pleasantly baroque. 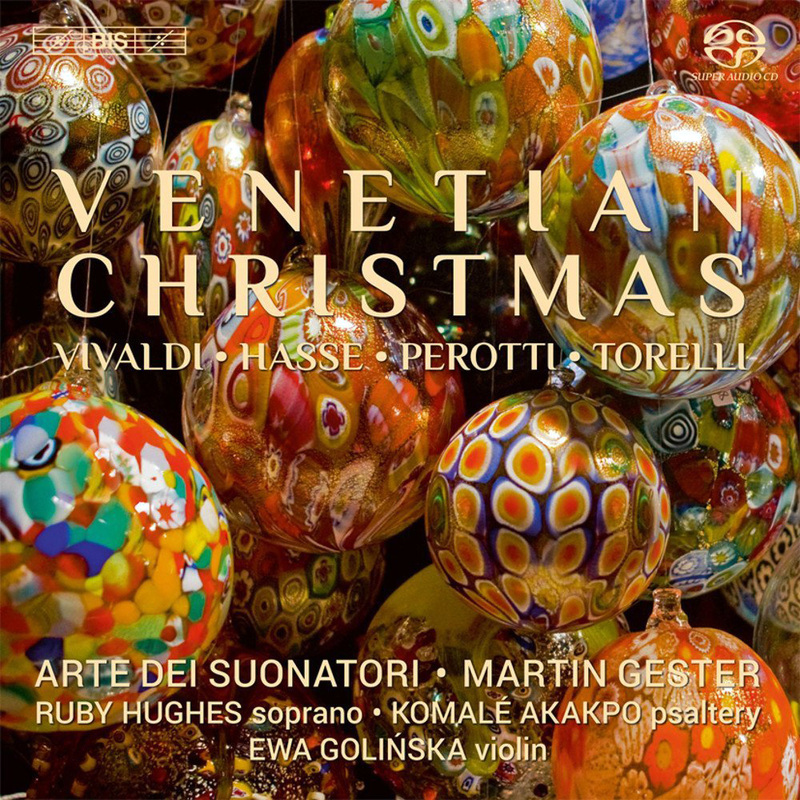 The CD features Martin Gester and early music specialists Arte dei Suonatori, and is a programme that could have been played during a typical Venetian Christmas. It’s mostly Vivaldi, with other work by Hasse, Perotti and Torelli. As well as violin, cello and harpsichord, the album features soprano Ruby Hughes, whose local links include singing with the Buxton Festival and Manchester Camerata. Very pleasant, and nicely airy.